The Tennessee-Tombigbee Waterway is the largest water resource project ever built in the United States. It is one of the engineering marvels of the world. The federal project was designed and constructed by the U.S. Army Corps of Engineers with annual appropriations from the U.S. Congress. Corps employees performed most all of the engineering and design work and served as the construction manager for the project. Actual construction was accomplished by private contractors selected to build specific components of the project by competitive bids. The Mobile District of the Corps was responsible for the southern 195 miles of the waterway, including 9 of the locks and dams. The remaining 29 miles of the project, including Whitten Lock and Dam, the third highest single lift lock east of the Rockies; and, the massive excavation of the so-called Divide Cut, were the responsibility of the Corps’ Nashville District. The Tenn-Tom is the largest earth moving project in history, requiring the excavation of nearly 310 million cubic yards of soil or the equivalent of more than 100-million dump truck loads. By comparison, the French dug about 105 million cubic yards in building the Suez Canal and a total of 210 million cubic yards of earth were removed from the Panama Canal. Construction began in December 1972 with the building of the Howell Heflin Lock and Dam (formerly Gainesville LD) at the southern end of the waterway. A total of 2.2 million cubic yards of concrete and 33,000 tons of reinforcing steel were used in building the 10 locks. The 110 x 600-foot lock chambers hold an average of about 20 million gallons of water, an amount equivalent to that used each day by a city with a population of about 60,000. A series of culverts, resembling large tuning forks as shown here, were constructed in the bottom of each lock to allow the lock chambers to empty or fill in about 20 minutes without any turbulence or whirl pools that might cause safety concerns for boats being locked. The safe raising or lowering of the water levels inside the chamber is most important since some of the commercial tows consist of shipments of as much as 6 million gallons of fuel as well as chemicals. Waterways are the safest mode for moving these kinds of commodities. The Tennessee-Tombigbee was the first large water resource project constructed in accordance with the provisions of the National Environmental Policy Act of 1969 (NEPA). Major design changes were made to better accommodate environmental quality as mandated by NEPA. An example of these changes in the project’s design is the nearly 50-mile levee shown above on the left side of the first photo. The levee was added to prevent the destruction of prime wildlife habitat along the upper reaches of the Tombigbee River caused by permanent flooding from the impoundments of 5 locks. 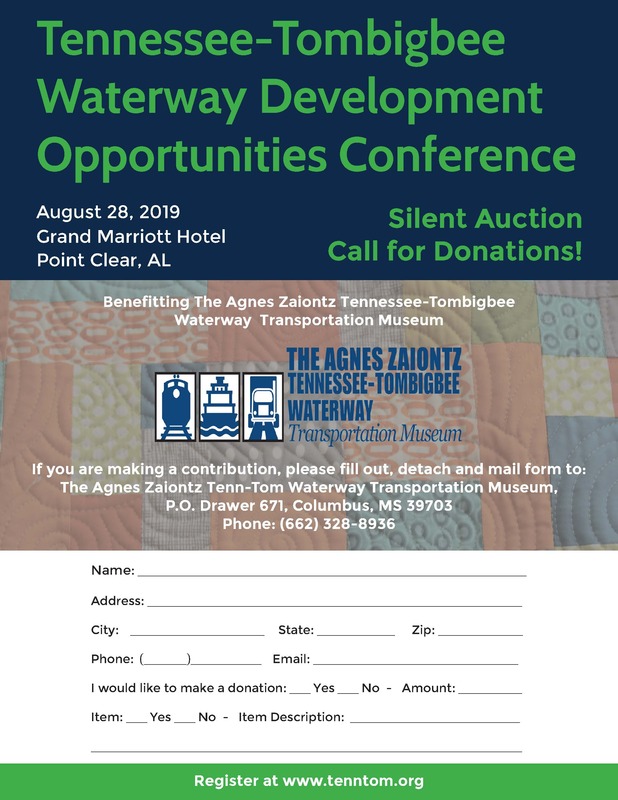 One of the most challenging features of the waterway to design and construct was the so-called Divide Cut, a 27-mile canal that connects the Tenn-Tom with Pickwick Lake on the Tennessee River. To build this navigation canal, which is 280 feet wide and 12 feet deep, required the removal of 150 million cubic yards of earth. Seven private contractors, using conventional equipment, completed this awesome task in less than 8 years. The deepest cut was 175 feet with an average excavation of 50 feet along the entire reach of the canal. The two photos shown here offer a before and after look at this construction challenge. The dirt removed from the Cut was placed in nearby valleys. These spoil disposal areas were carefully contoured and landscaped in a manner that precluded one of the most potentially serious environmental problems associated with the waterway construction. Construction of the waterway also involved the relocation or replacement of 8 railroad bridges and 14 highway bridges. The States of Alabama and Mississippi were responsible for building the highway bridges, which cost $155 million. The accompanying photo is of a railroad relocation in the Divide Cut, showing a massive earth fill that had to be built to provide uninterrupted rail service and later was removed when the bridge was completed. The waterway will have a physical life of 100 years or more and an assumed economic life of 50 years. This investment will return economic benefits to many generations to come.